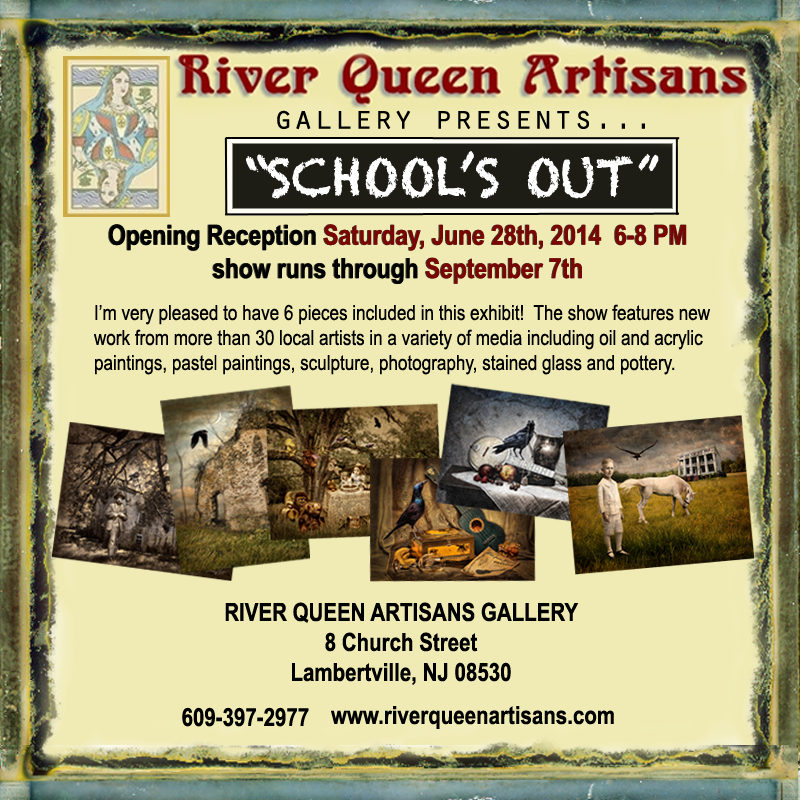 New Show at River Queen Artisans Gallery! 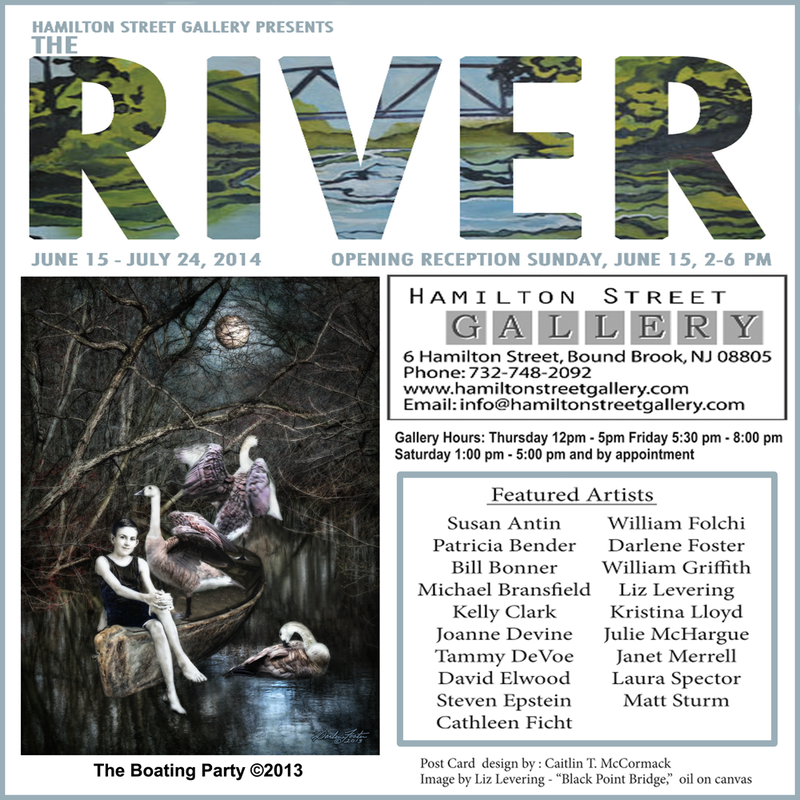 Very pleased to be included in this show! 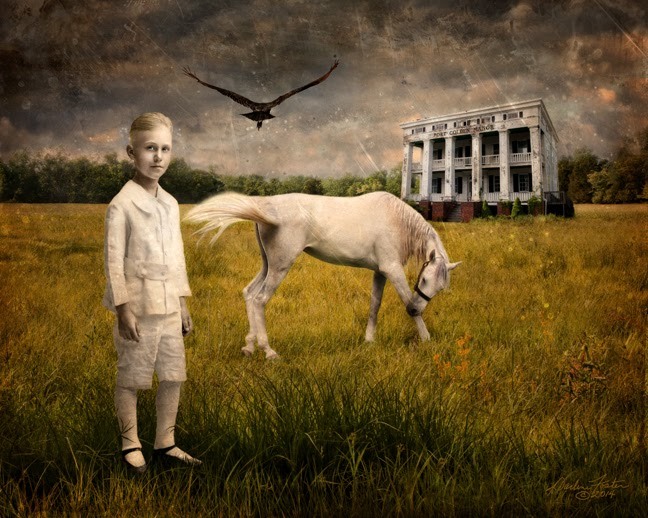 All the Pretty Little Horses ©2014 - This montage started with the vintage photo of the little boy circa 1900s that I picked up at an antique show. He had a rather odd ethereal quality about him, blond, rather pale and dressed all in white. He brought to mind a white horse I had captured in 2008 prancing and frolicking in a field as other horses stood by watching. The two fit together perfectly. I then added a stately, white columned abandoned mansion I photographed in the village of Port Colden, NJ located in Washington Township along the Morris canal. Built in the 1840's, it served as a finishing school for girls, a private home, and a hotel called the "Port Colden Manor" among other things over the years. At a dark point in it's early history, it was said to be active during the underground railroad as a stopover for slaves being returned to the south. Supposedly, some of the shackles and chains remain in the building. Not surprisingly, It is also said to be haunted. The vulture flying gracefully off into the distance, I photographed in Millford, NJ. I placed them all in a field from a recent road trip to Pennsylvania, added a cloudy horizon and some texture from an old daguerreotype. The title came from a haunting lullaby from the 1800's, "All the Pretty Little Horses."